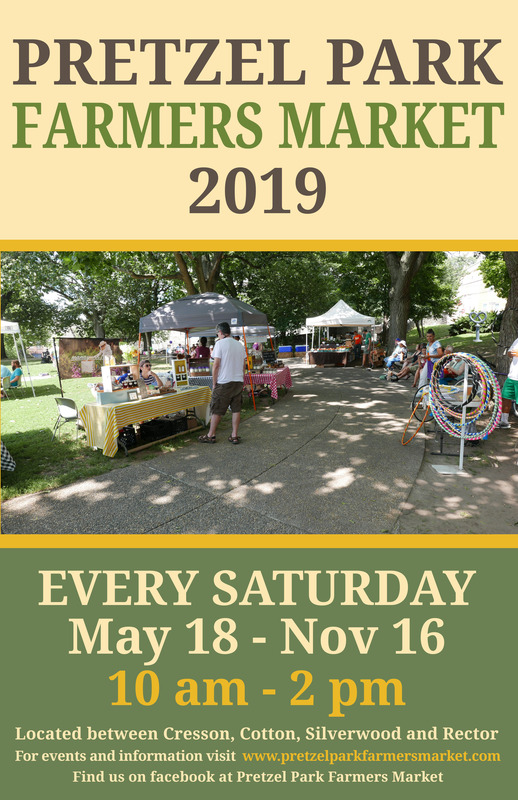 The market is open every Saturday from 10am to 2pm. Pretzel Park is in the Manayunk section of Philadelphia (map), between Cresson, Silverwood, and Cotton Streets. Just one block from Main Street.